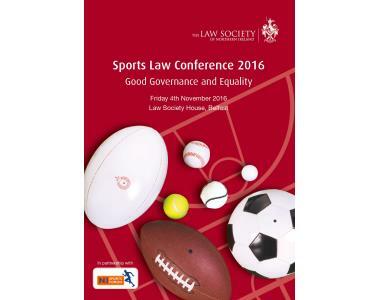 The 5th annual Sport and the Law Conference will this year have the overall theme of Good Governance and Equality. 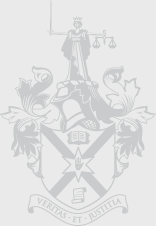 The Conference, organised by the Law Society of Northern Ireland in association with the Northern Ireland Sports Forum will, in addition to the usual comprehensive update, have prominent speakers in the Sports Law field, with academic and judicial input, to look at the challenges lawyers face in advising their clients - whether they be governing bodies, clubs, managers, coaches, players or officials. Topics to be covered include transparency, diversity, integrity, leadership and decision-making, financial probity and the future of the sports industry in a digital world. The Conference will draw on the expertise of an experienced panel for questions and discussion. 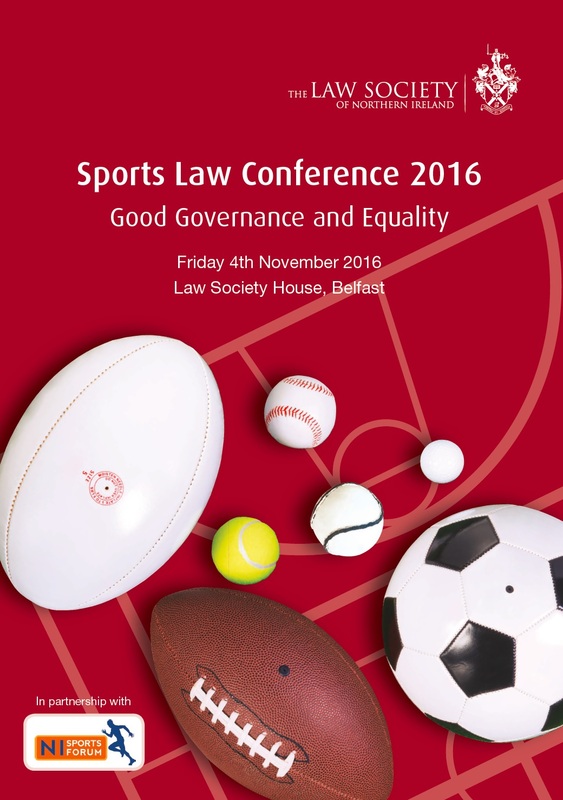 This year’s Conference will be of particular interest to Governing Bodies, their members and advisors, as issues of good governance and equality in sport are key areas for consideration in an ever-changing sporting sector not least regarding the availability of financial support from Government. The Conference will commence at 8.45am with registration and refreshments and will conclude with lunch and discussion from 1.15pm – 2pm.